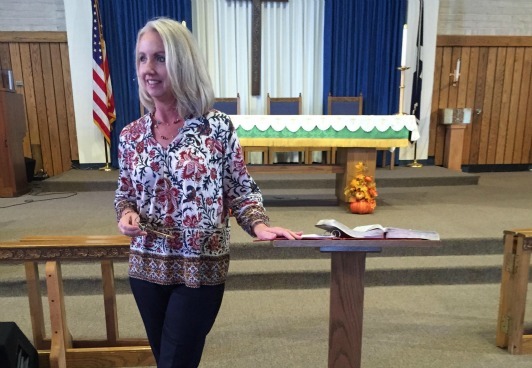 These are some of Kay’s more popular topics, but she loves to create new messages based on a fresh word from God. She would love to talk with you about how she can create a message or a package of messages to best fit the needs of your group and your event. and protect our minds so God can protect and heal our hearts. The topic of Kay’s Bible study by the same name, Kay also considers this her “life message.” She helps us see why and how our soul desires, while natural and normal, often drive us to do unhealthy and ungodly things. Kay then provides step-by-step instructions for how to feast on the Bread of Life so we too can be satisfied at last. The writer of Hebrews 12:1-3 challenges us to run our race with endurance. What gets in the way of you running your race? 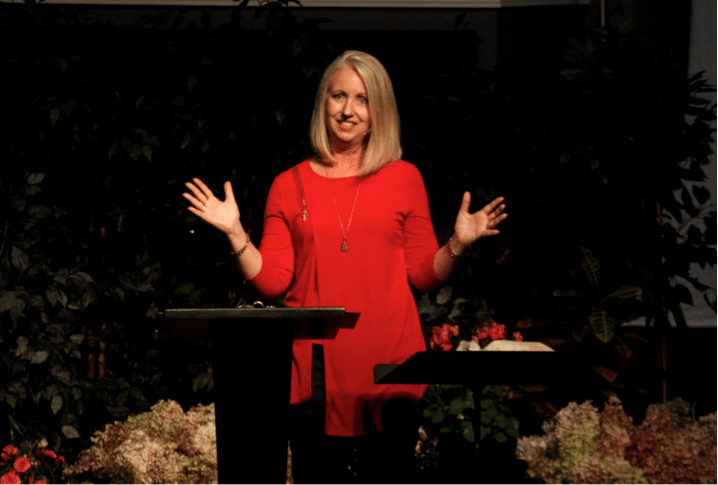 In this three-session retreat Kay exposes three hold-ups that keep many women from facing forward and pursuing the calling God has for them: comparison, excused and cherished sins, and the excess baggage of past hurts, unsatisfied desires and unchecked fears. She encourages us to focus our attention on Jesus and to handle each of those hindrances the same way He did so we can run to win. In this 45 minute message, Kay introduces us to three distinctly “Delicious” types of friendships we all can have. But she also gives pointers for polishing each of those relationships to sweet perfection so that they are honorable, beneficial, and healthy. In the weekend retreat Kay spends much more time on each type of friendship — Red Delicious “another” friendships, Green Delicious friendships gone sour, and Golden Delicious spiritual friendships — exploring ways to create good friendships, maintain healthiness, and sweeten them with grace. This is a powerful word on friendship with a fresh approach your women will continue to talk about for years. Is it really necessary to have a biblical worldview? For that matter, what is a worldview? 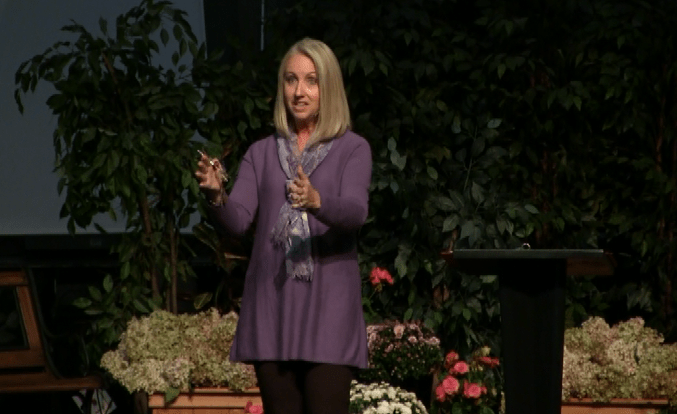 In this message Kay explains how we generally develop our views of the world, why it’s important to view the world through God’s eyes, and how to begin seeing things His way. Do you have any hotheads or loose cannons in your life? Or maybe you just have an unpredictable and temperamental teenager in the home. Through the biblical account of Abigail and David, Kay tells the story of how one woman brought a breath of fresh air to her heated situation. By Abigail’s quick actions, wise words, and reverent attitude, the future king is spared from acting impulsively and harshly. Learn how we can also shape the actions, attitudes, and futures of those around us like a breath of fresh air. Click here to download Kay’s Statement of Faith. The following individuals have given Kay the privilege and responsibility of speaking at their events. While each of them have affirmed Kay’s ministry and expressed their gratitude, they are also willing to give honest feedback to anyone interested in references. Feel free to contact them. If you find any of the contact information to be incorrect, please let us know through Kay’s “Contact” page so we may make corrections.